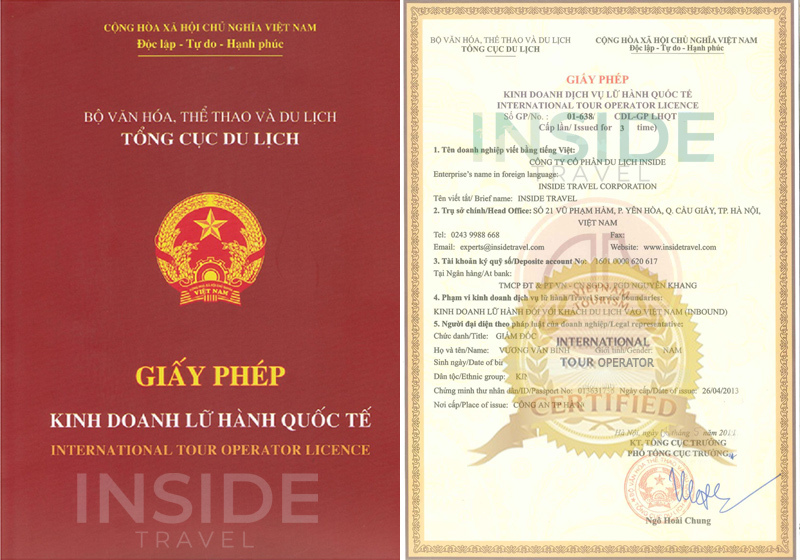 Hanoi is the capital of Northern Vietnam and keeps this role until now. 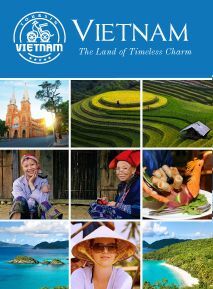 The city is located on the right bank of the Red River and far about 1760 kilometers from Ho Chi Minh City. Hanoi features a warm humid subtropical climate with plentiful precipitation. 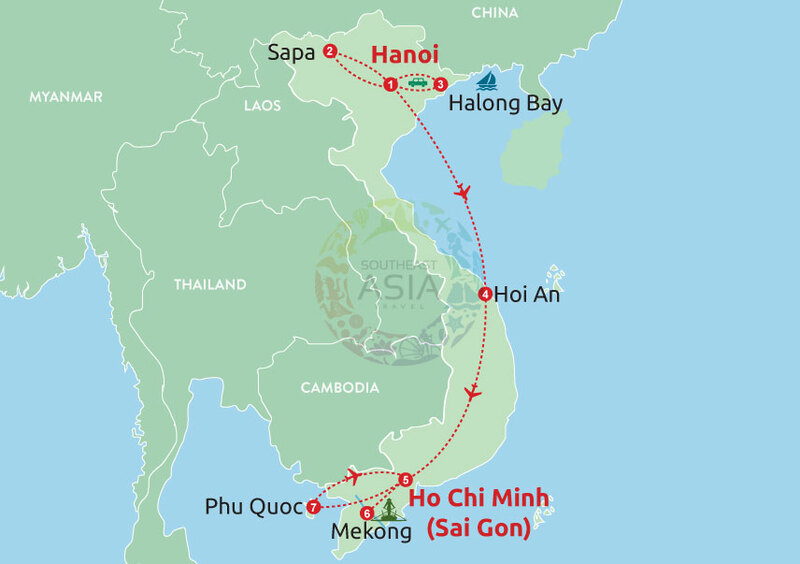 In addition, Hanoi is considered one of the main cultural centers of Vietnam, where most Vietnamese dynasties have left their imprint. In 1902, Hanoi became the capital of the Indochina Federation and it was built by French. 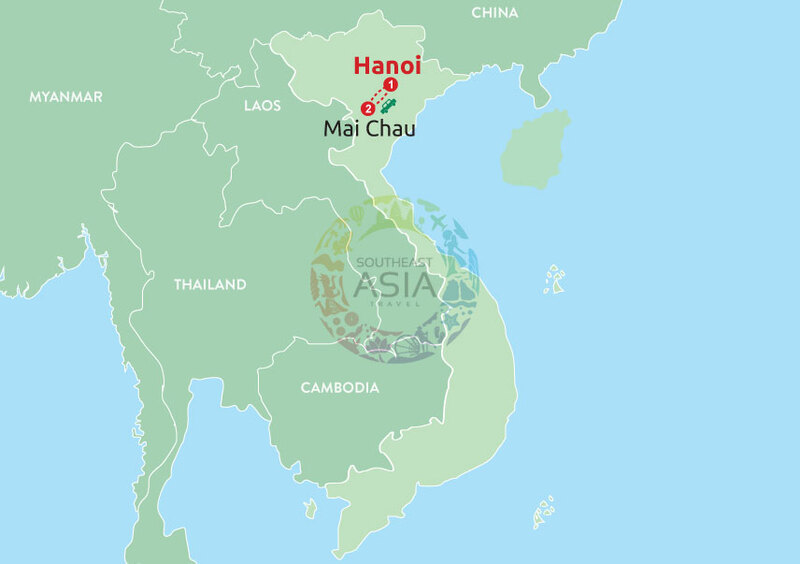 Through two wars, Hanoi is the capital of Northern Vietnam and keeps this role until now. Its population in 2009 was estimated at 2.6 million for urban districts, 6.5 million for the metropolitan jurisdiction. From 1010 until 1802, it was the most important political centre of Vietnam. 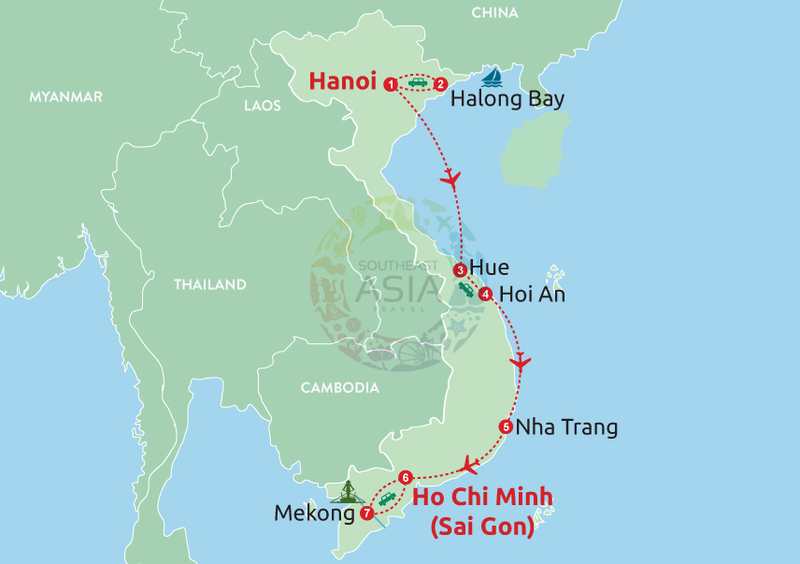 Hanoi is located between 20053' to 21023' north latitude and 105044' to 106002'east longitude. The city has an area of 3.324,92 square kilometers. Hanoi is a city with a mount of lakes, ancient rivers. In the inner city, West Lake has large area of about 500 ha, and plays an important role in the urban landscape. Today this lake is surrounded by many hotels and villas. 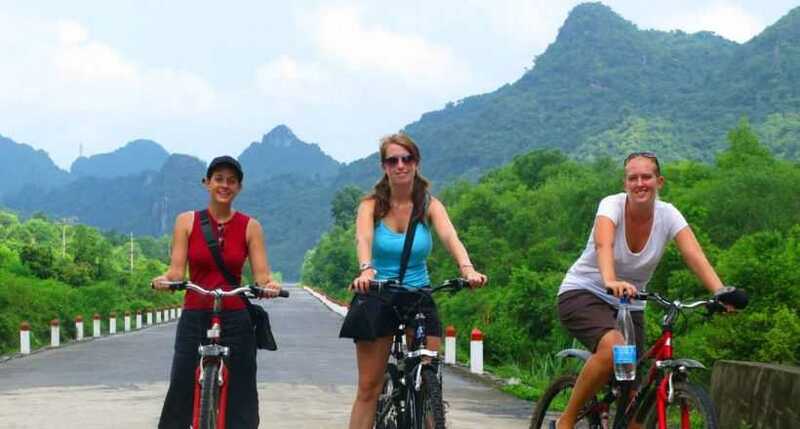 Hanoi is situated on an ancient soil area deposited from time immemorial with layer after layer of alluvium carried down from the northern mountain ranges by the Red River and its tributaries. 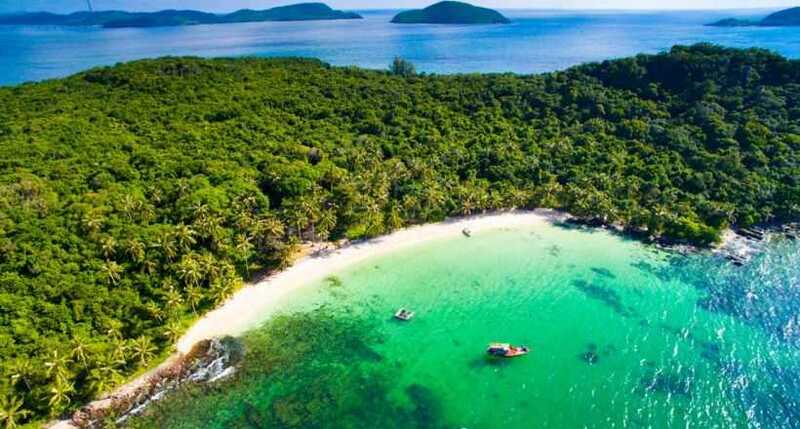 That is the reason why Hanoian feel as closely connected to their Red River as children do towards their mothers. In the old days, the Red River was given another common name: Cai (Mother) River. The name of Hanoi (Interior side of a river) has derived from an ancient language which is literally known as a land area located in the inner side the Red River. It is not that the city is inside the river but rather it is embraced by about 100 kilometers of the Red river dykes. The dyke portion in Hanoi accounts for about one fifth of the total river dykes flanking on either side of the Red River that runs along the Vietnamese territory on a stretch of more than 500 kilometers. 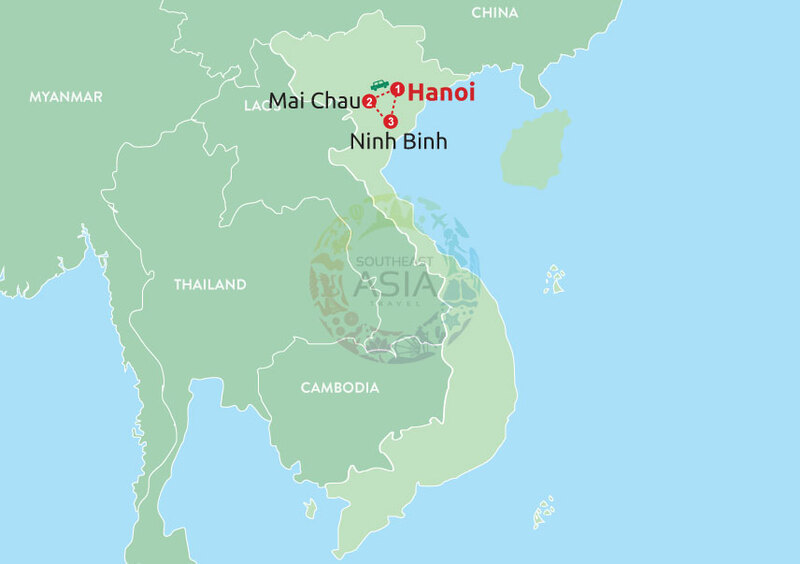 Other rivers that run through Hanoi include the Duong, the Cau, and the Ca Lo, the Day, the Nhue, the Tich, the To Lich and the Kim Nguu rivers. The last two rivers, To Lich and Kim Nguu, have been regarded as an inexhaustible source of inspiration for many Vietnamese literature writers and poems that lived in the capital city in the old days. These two rivers were considered the most poetic and romantic bodies of water that flows through the city. 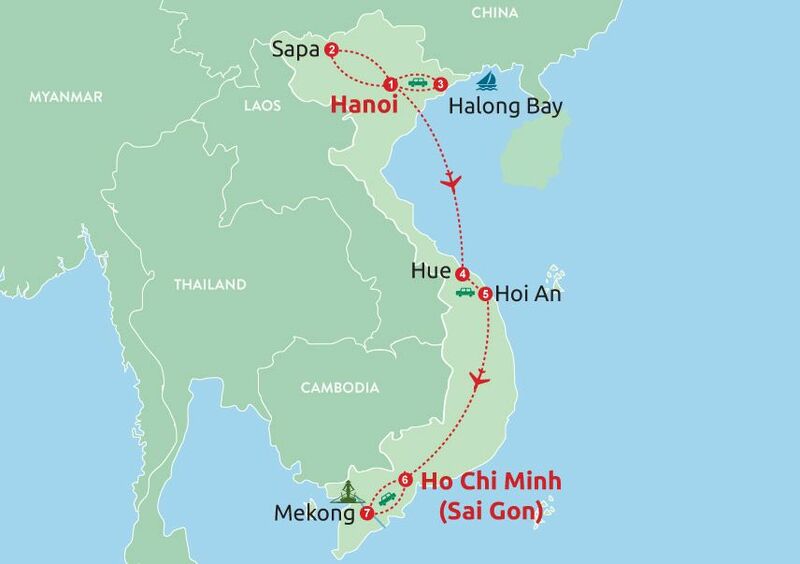 Hanoi features a warm humid subtropical climate with plentiful precipitation. 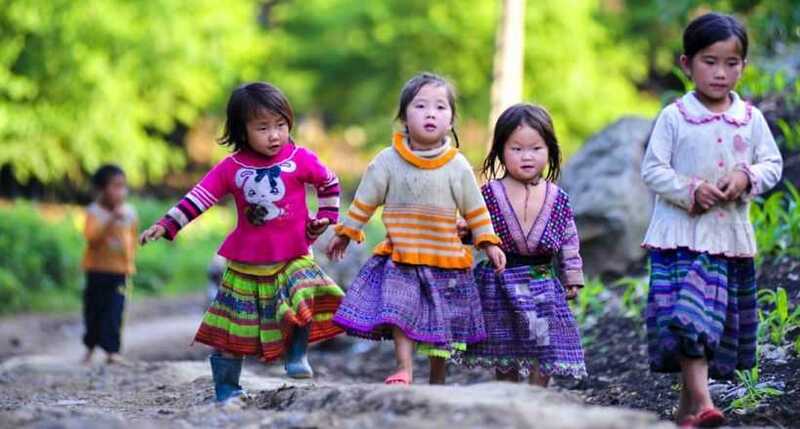 The city experiences the typical climate of northern Vietnam, where summers are hot and humid, and winters are, by national standards, relatively cool and dry. Summers, lasting from May to September, are hot and humid, and receive the majority of the annual 1,680 millimeters (66.1 in) of rainfall. The winters are short, relatively dry, and mild, while spring can bring light rains. When the first state of ancient Vietnam was established in Hanoi (formerly Thang Long), the city was considered a sacred and typical part of Vietnam. Twenty three centuries ago, Co Loa in the present-day district of Dong Anh was the capital of the ancient Au Lac country reigned by Thuc An Duong Vuong (King Thuc An Duong.) In the subsequent period of more than 1,000 years, Hanoi had witnessed brilliant feats of arms in a long resistance war against the northern mighty invaders. The subsequent dynasties sometimes moved their capital to other regions. Mid 20th century, Hanoi suffers from the complex events of history. Events that Japanese attacks Indochina in 1940 make Vietnam under the administration of the French and Japanese. The Vietnamese forces held August revolution succeeded. In september 2nd 1945, Ho Chi Minh read the Declaration of Independence at Ba Dinh, and created the Democratic Republic of Vietnam with Hanoi capital. In 1945, the victory of Dien Bien Phu, our military regained the North of Vietnam, Hanoi continued the capital position of the Democratic Republic of Vietnam. As the capital of Vietnam for almost a thousand years, Hanoi is considered one of the main cultural centers of Vietnam, where most Vietnamese dynasties have left their imprint. Even though some relics have not survived through wars and time, the city still has many interesting cultural and historic monuments for visitors and residents. Hanoi was given the title "City for Peace" on June 17th 1999. In 2000, President Tran Duc Luong in Hanoi awarded the title "Capital hero" on October 4th. In 2010, the city celebrated 1000 years with 1000th anniversary of Thang Long - Hanoi from October 1st to 10th which prepared many years ago. 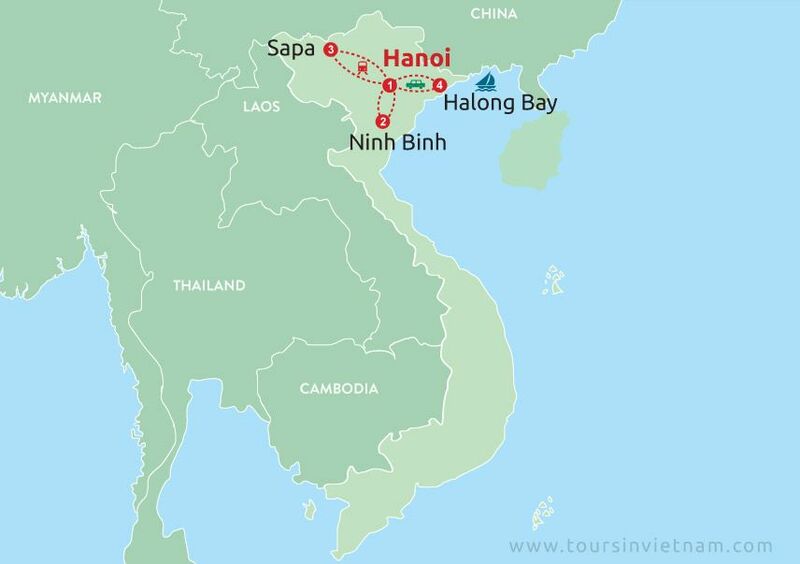 Hanoi is very compact, and the city is the most interesting places for tourists. You could probably explore the Old Quarter and visit all the places below in a single day. 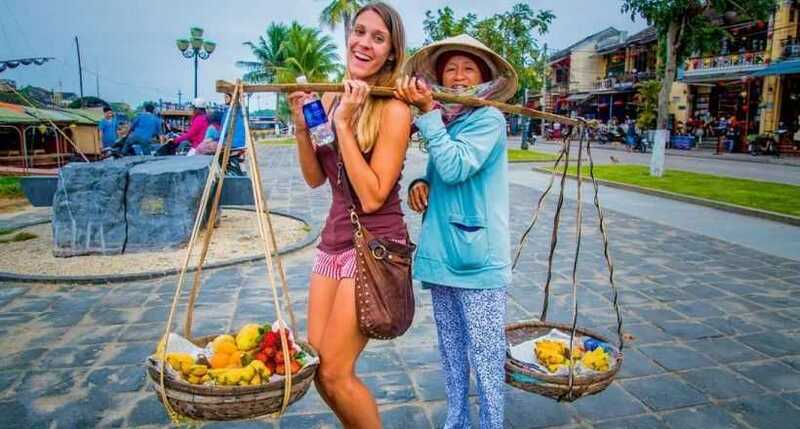 Tourists can enjoy fresh air when walking around Hoan Kiem Lake or West Lake, sight view in the Old Quarter and visit the entire trade villages around Hanoi. 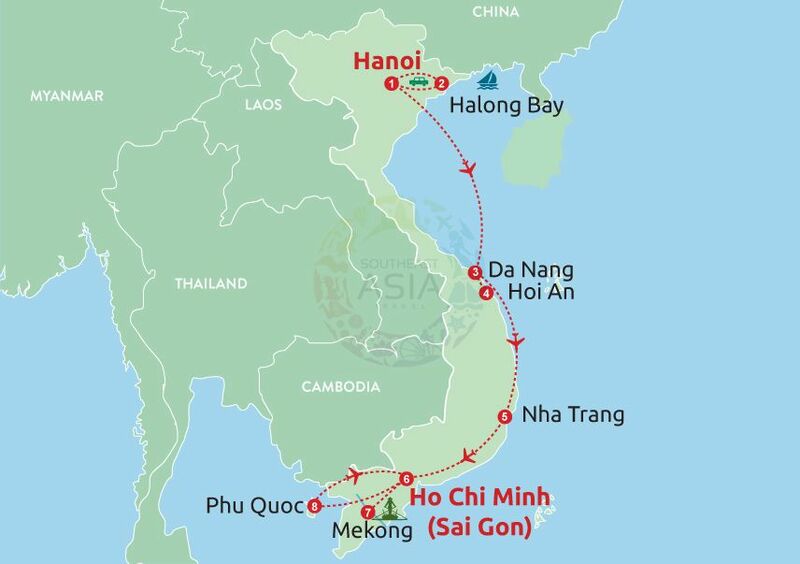 Moreover, they will have opportunities to enjoy traditional foods and have unforgettable time in Hanoi such as: Pho, Cha ca La Vong, com, Bun thang, Banh cuon, Bun cha…Coming and exploring Hanoi, tourist will find a strange and excited feeling about landscape and Hanoian. 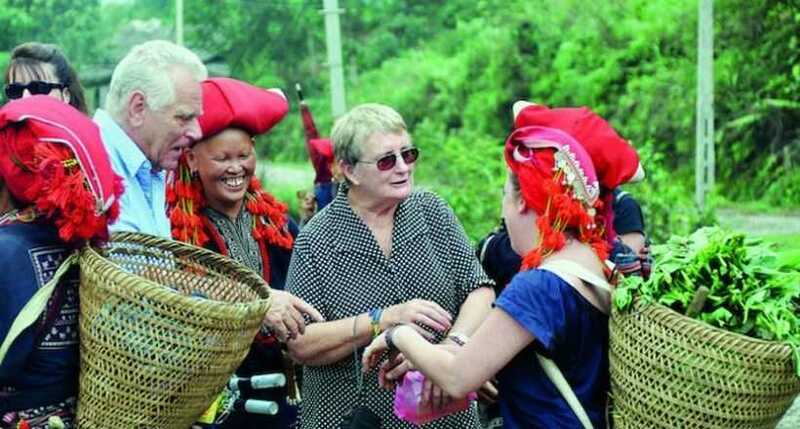 · Trek to Hang Kia, a Flower H'mong village situated in a small and scenic valley.